How much experience do you have in home renovations? 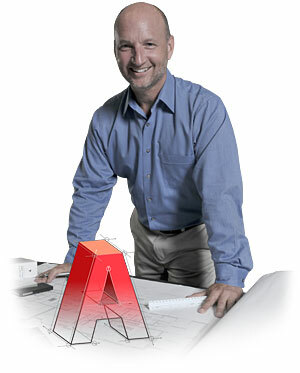 Anden Design/Build was established in London, Ontario in 1962 and has been family-run ever since. We have a great deal of experience in every type of renovation imaginable, from basement renovations to kitchen renovations. We have been in business for such a long time thanks to our happy customers who continue to trust in our services and refer us to their friends. Every project we finish includes a limited two-year warranty. This ensures that you are completely happy with the work we’ve done on your home and that everything measures up to your standards. We are confident that you will be completely satisfied with our services which is why we extend this offer to each project we undertake. Will you provide a work schedule and schedule for completion? Yes. Every project Anden takes on has more than just a start and end date. We provide our customers with a detailed schedule that outlines each component of your home renovation and how long each will take to complete. This allows you to see the bigger picture of your renovation and allows us to make sure we have the proper subcontractors in place when they need to be. Will you protect my property during the renovation? Of course! Every job we undertake includes all the components needed to protect things like walls, appliances and furniture throughout the renovation. We also do our best to minimize dust in your home, although sometimes it can’t be fully prevented! We use plastic sheets and tarps to help protect your home while we’re in it. However, we always recommend moving objects when possible, like pictures from the walls or shelves that could get unintentionally damaged. What if an unexpected issue arises during the renovation? Before we begin any project, we visit your home and do a complete check to make sure there are no underlying issues that will affect your budget and our timeline. With that said, it is possible for unexpected problems to come up. If something comes up that will affect the budget or schedule, we will notify you right away and run through your options with you. We have a large renovation gallery on our website which includes pictures of some of our more recent home renovations. If you’d like to see other work we do or learn about what inspires us, we suggest visiting our Houzz page. To learn more about any of Anden’s design and construction services or to book a free consultation, please contact us today!